Last month we shared the news with you that former Bing search engine spokesperson and senior product manager Duane Forrester joined Bruce Clay, Inc. in a newly created position as vice president of organic search operations. If you skipped the news in our last blast, check out this look at Duane's future plans and how his unique experiences will benefit clients of BCI. Newly updated with a career timeline graphic, read about how Duane's move to agency life opens him up to opportunities to help businesses like yours. Retailers running shopping campaigns now have retargeting options in Bing and product ads in Yahoo. Brands looking for reach on social media can create engaging Facebook video content from an image slideshow and can even manage Instagram campaigns from Facebook Ads Manager. Seasoned Google AdWords advertisers welcome a new way to target email lists via Customer Match. In the last month, marketers learned that Google uses artificial intelligence (AI) in its search engine ranking calculations. Yes, SEO is now bordering science fiction, but nobody should panic. At Bruce Clay, Inc. we believe the change will make rankings more accurate and less punitive, especially in regards to link calculations. There's a notorious Google penalty called Penguin that lowers the search rankings of sites associated with spam link building. Many businesses affected by the Penguin penalty have undergone a labor intensive series of steps to repeal the penalty. Comments by Google representatives suggest that the fruit of these labors may soon be harvested when a refresh of the algorithm finally takes into account the disavowed, removed and nofollowed links performed in repentance. The refresh, or update, hasn't happened yet, but what we know about how the new Penguin will work (such as its real-time nature) has us excited. "A theory: The next Google Penguin update will kill link spam outright by eliminating the signals associated with inorganic backlinks. Google will selectively pass link equity based on the topical relevance of linked sites, made possible by semantic analysis. Google will reward organic links and perhaps even mentions from authoritative sites in any niche. As a side effect, link-based negative SEO and Penguin 'penalization' will be eliminated." That's a lot of technical speak to say that Google's ability to judge relevance and value apart from links (essentially this concept of "semantic analysis") has gotten so good that, we believe, the new Penguin will reward good links and authority mentions while ignoring spam links. Go read the post and the comments there. 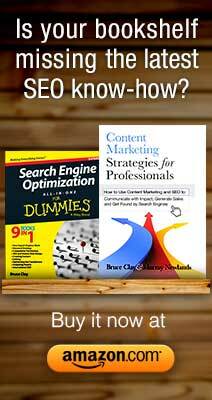 You'll find thoughtful discussion from some top search marketing minds. Google has shifted focus from relevance to usefulness with the latest Search Quality Rating Guidelines. Google annually updates its internal guidelines document that tells hired human quality raters how to evaluate sites as part of Google's ongoing experiments. Last month, Google published the 2015 guidelines as a 160-page PDF for all to read. What's important for business owners is not all of the nitty gritty technical details. Leave those to your SEO. Instead, business decision makers need to glean what Google's focus is so they can allot budgets and assign priorities correctly in a website strategy that's aligned with what Google rewards. "It’s all about usefulness today and moving forward. The goal of the search engine is simple: increase searcher satisfaction. That’s why 'useful' is the new watchword. Previously we said 'relevant,' but really we all meant 'useful.'" If you're not a technical SEO but your success does require your understanding of Google's focus and priorities, read our checklist. Use it to review your website and digital marketing initiatives and ensure your strategy is aligned. The 2015 Search Quality Rating Guidelines Checklist gives you the high-level perspective for thinking about your mobile user experience, how to think of your website as a way to meet your users' needs, and how to evaluate the usefulness and expertise of your content. We have to give top billing to Duane Forrester, who joined Bruce Clay, Inc. this month as our first VP of organic search operations. Forrester made the news an interactive community event when he announced his new gig at the DFWSEM State of Search Conference in November. Twitter lit up with the news and hearty congratulations for the SEO evangelist. Welcome to the agency world, Duane! Lumos Labs, the company behind Luminosity, the brain game app with more than 60 million users, has a new CEO: Steve Berkowitz. Berkowitz has held leadership roles at companies including Ask Jeeves, Move and Realtor.com. Diane Greene, co-founder of VMWare, joined Google as the senior vice president of the company's cloud businesses, including Google for Work, Cloud Platform and Google Apps. This follows Google's acquisition of Greene's software startup Bebop this month. Here is a roundup of Internet marketing conferences happening soon. Refer to the continuously updated Digital Marketing Conference Calendar for more events across the globe. In Dallas, Texas, the Digital Summit Dallas regional event happens Dec. 8 and 9. Once a year, Bruce Clay teaches the five-star SEO training course to a sold-out room in Delhi (NCR), India. In 2016, this opportunity is fast approaching. Secure your seat for Bruce Clay's SEO training in India Feb. 2–4. The in-person, three-day course taught by a 20-year SEO veteran is the only SEO training of its kind in India. Attended by digital marketing staff, IT and management at companies including Microsoft, Hewlett Packard and AOL (read their testimonials here), the workshop sells out every year. Receive the early bird rate by registering by Dec. 14. Get more details and register here. Like what you read? Enjoy the weekly digital marketing podcast SEM Synergy with host Bruce Clay. Here are the latest episodes available to stream online or download to your podcast app. Subscribe on iTunes to get new episodes sent straight to your mobile. The BCI team talks machine learning and predictive search. These two things are drastically changing the search landscape; learn how to ready your digital marketing for these ranking technologies. You'll also hear about Google's recent warning against mobile redirects that appear "sneaky." Listen in as David Szetela shares his targeting tips for the Google Display Network. This show also features a roundtable discussion on some recent Facebook developments that business owners can take advantage of: dynamic location ads and the ability to monitor foot traffic with BLE technology. 3. Former Bing Spokesman Duane Forrester Joins Bruce Clay, Inc.
Bruce Clay, Inc.'s newly minted VP of Organic Search Operations, Duane Forrester, sits down for an exclusive interview with Virginia Nussey. Forrester shares why he is excited for this fresh start, what his role will entail, and why he has a heart for helping small businesses like the one he grew up in. Happy birthday to Google Analytics! The tool, which is used by an estimated 30 to 50 million websites, turned 10 years old this month. Fellow Google platform AdWords also had a birthday this month, turning 15. Facebook CEO Mark Zuckerberg and his wife, Priscilla Chan, celebrated the birth of their daughter, Maxima Chan Zuckerberg, with a long letter posted on Facebook. In the letter, the couple pledged to donate 99 percent of their Facebook stock (worth about $45 billion) to found a new organization, the Chan Zuckerberg Initiative, dedicated to causes such as fighting disease and improving education for the next generation. Zuckerberg later explained that any money made by the new LLC will be invested back into the initiative. The number of Internet users worldwide has reached 46.1 percent according to a November report. Google revised its public timeline for the Penguin update. Do not expect the link spam algorithm to be refreshed before the year's end. Google released a new About Me identity center that allows people to view their own profile information, see who has access to view each item, and make changes as desired. Google search results for a local-business query no longer show a one box or a pin, as of Dec. 4. The local business’s data (address/phone) and pin symbol no longer appear below the standard title and description. In February 2016, Google Shopping advertisers will have new policies to follow. You can view a preview of the new policies now to check that your campaigns are in compliance. Structured snippets for Google AdWords ads has been expanded to two showcase lines. A study by 4C Insights showed that Pinterest ad spending is up — 7.7 times higher than at the beginning of the year — and those ads are driving results such as a 3.3 times rise in ad impressions and a 2.0 times increase in ad click-throughs since January. Noting that the cost per click has risen just 1.2 times higher during the same period, 4C's CMO Aaron Goldman recommends that advertisers "jump in now before the true market saturation begins as click costs rise." Twitter has changed its "Favorite" star to a "Like" heart after a beta test saw engagement increase with the new symbol. Twitter removed share counts from its share button as of Nov. 20, a change that not only affects many blogs and websites displaying numbers next to their social share buttons, but also impacts Twitter’s share numbers. A study by Shareaholic found that Twitter’s share of voice has declined more than 11 percent since the change. Facebook began allowing Google to crawl and index Facebook’s mobile app. This enables Google searches on smartphones to include some content from the app (such as public profile information, not private data) with "deep links" to take users to the relevant part of the Facebook app. Facebook tweaked its News Feed algorithm to push down viral news stories that people report they do not want to see. The social network also opened up live streaming mobile video to individuals where previously only verified celebrities could use this feature. Business Pages do not yet have access to the feature. Facebook is making it easier for nonprofits to collect donations and manage fundraising campaigns. An improved Donate button is available on pages and posts, and users can make a donation without leaving Facebook. Facebook is testing new tools to let users hide an ex's activity and manage who can see what after a relationship ends. Available in the U.S. mobile market first, the beta feature can be accessed through the Facebook help center. There is public speculation that the Yahoo board of directors is considering a sale of the company. The Yahoo Small Business directory has ceased to exist. Local businesses can get listed with its replacement, Aabaco Small Business, although some report difficulties in switching accounts. Aabaco is currently a Yahoo-owned business, but will soon transfer to a new parent company, Aabaco Holdings. Music-streaming service Pandora has purchased the struggling music subscription company Rdio for $75 million. Google introduced a "fully redesigned" Google+ interface that is intended to be simpler to use and more focused on the interest-based features known as Communities and Collections. What Is Google PageRank and How Is It Earned and Transferred? ©1996 to 2015 Bruce Clay, Inc. All rights reserved.